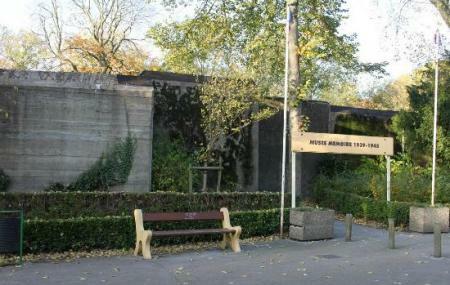 Find hotel near Musee De La Guerre Or Par ..
A former Nazi Navy Bunker which after the war was turned into a museum, Musee de la guerre is located in Saint Pierre Park. Inside the museum are 21 different rooms dedicated to objects, posters and flyers, newspaper clippings, war time memorabilia’s, life size replicas of soldiers, models of guns and weaponries from the time. Adding to the feel and aura of the Second World War the museum also has a film room where original war correspondent footage and front line action can be seen. Town Hall of Calais is at a stone’s throw distance. Outside, St. Pierre Park is nice for leisurely stroll. Children, students and Groups, EUR 5. Family (2 adults + 1 0r 2 children under 14), EUR 14. Located just outside Calais Railway station, on Avenue du President Wilson. Nearest Bus Stop: Gare SNCF, Lines: 01, 02, 03, 04, 05, 06, 07, 12. How popular is Musee De La Guerre Or Parc St Pierre? People normally club together Calais Vins and Town Hall Of Calais while planning their visit to Musee De La Guerre Or Parc St Pierre. This a very educational ww2 museum. It'll take you an hour or so to walk around, your supplied with a device that you key in the relevant room number to listen to more information about what's happening in the area you are visiting. Free parking outside along the road, keep all valuable items in the boot/locked away as immigrants roam the area. A police station is next door to the museum so the car should be ok. The museum only accepts cash(€). Loved the way they have preserved the Nazi bunker in the middle of the park. The amount of relics and WW2 newspapers and document they have is astounding. They have integrated the history of Calais during the war into the whole history of the war very seamlessly and easy to follow. They provide audio guide in English, too. 4/5 stars because the smell of mold was pretty intense and in some rooms it was a bit annoying to breathe even tho I am not allergic. Worth a visit. Well worth a visit. Interesting. Doesn't take long. Rich in History. Should be there early in the morning. We ran out of time as such running through the exhibits.